There is a $20 membership fee for our 5 month pickleball program. Members who join after May will be charged a pro-rated fee. Please register your membership and pay for the 2017 year online. You select Pickleball in the list of options on the Join/Renew page. If you prefer, you can print off the registration page (below) and then mail your payment to the ACTC. Our mobile nets and equipment bag (balls, extra paddles etc) are brought on to Court # 3 by the players. It takes only 5 minutes to set up our 2 nets. We have a divider net that blocks errant balls and separates pickleball from the tennis activities. The official Opening Day celebration for our 2017 Pickleball season is on Saturday, May 27th from 10:30 - 2 pm. 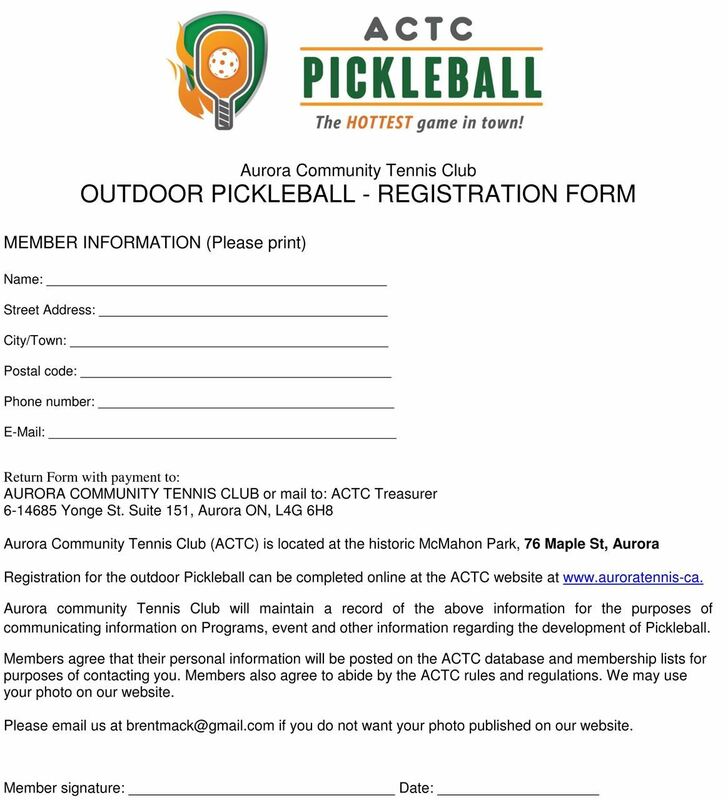 If you prefer to register or renew online, click on the ACTC Registration page and choose Pickleball.